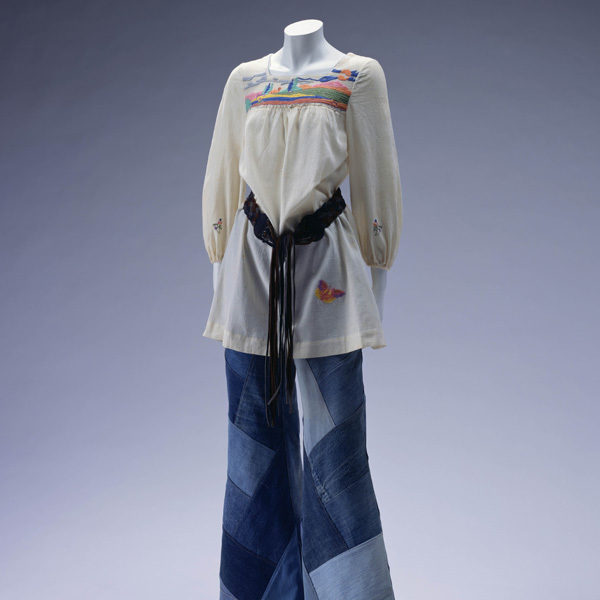 This sweater with kimono sleeves represents Kenzo Takada's early days. 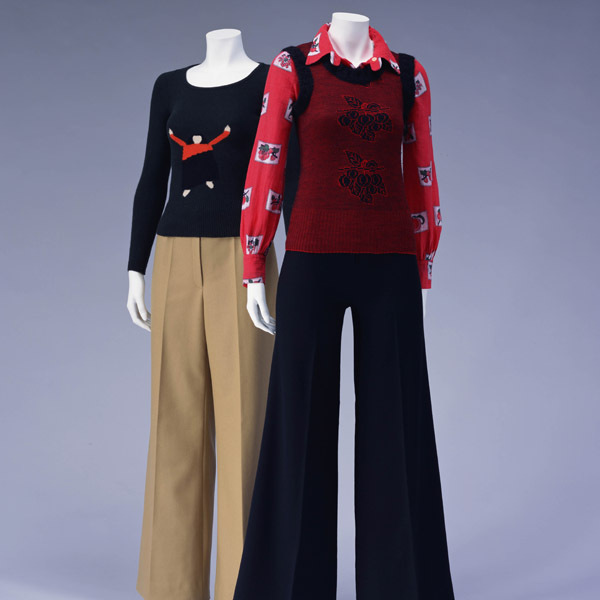 On top of a long-sleeved shirt, one could even layer another piece. 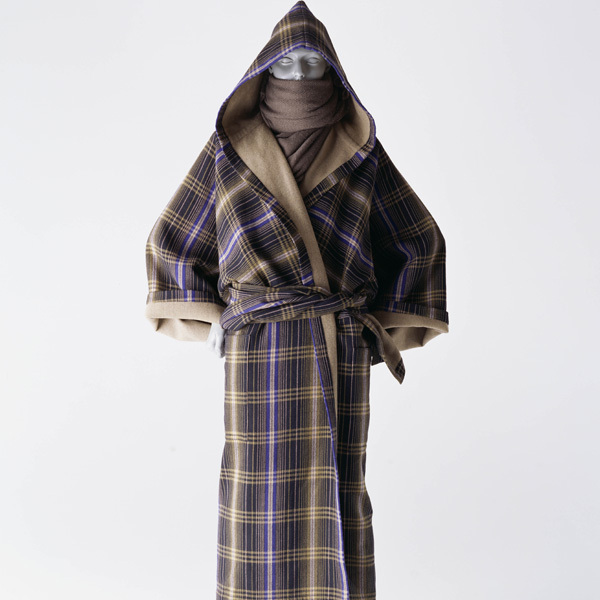 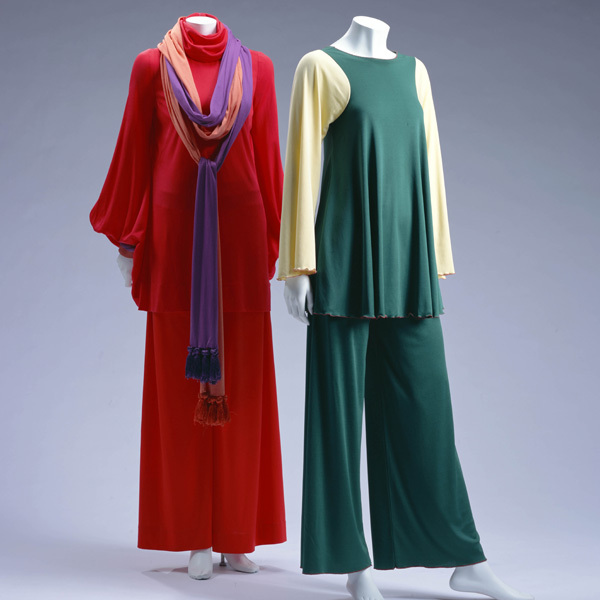 Takada's designs caused the popularity of layering, a fresh, new way to dress well. 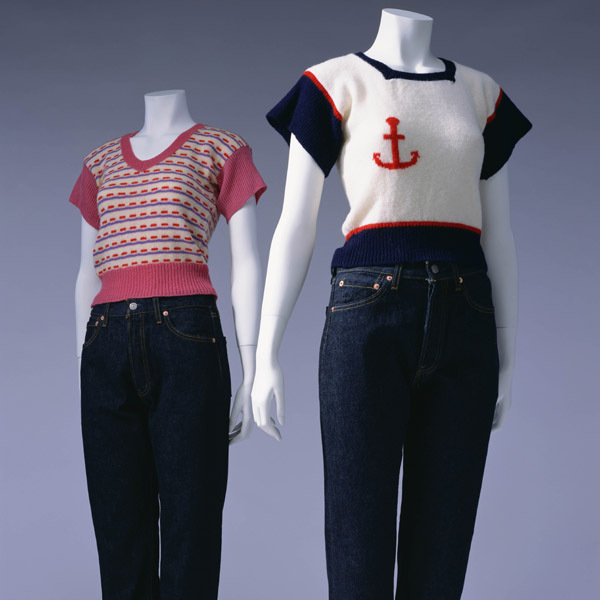 The coordination of the jeans and hot pants together, also accelerated this free style of casual dress up. 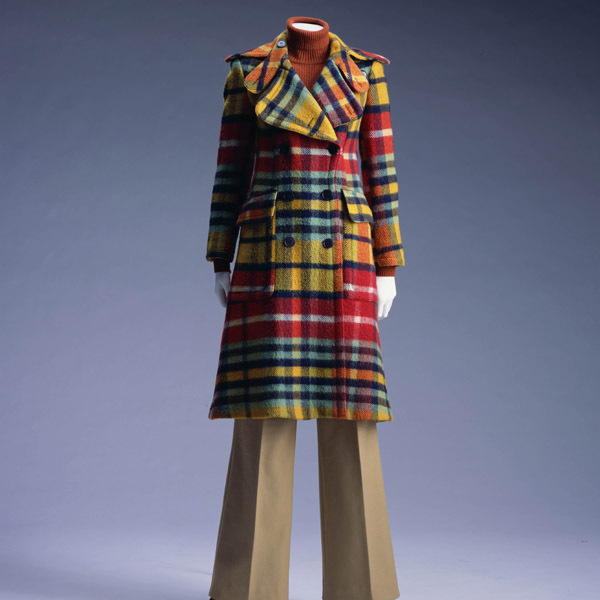 Takada, who went to France in 1964, achieved rapid growth as a designer for prêt-à-porter clothing, and in 1970, he started his own brand. 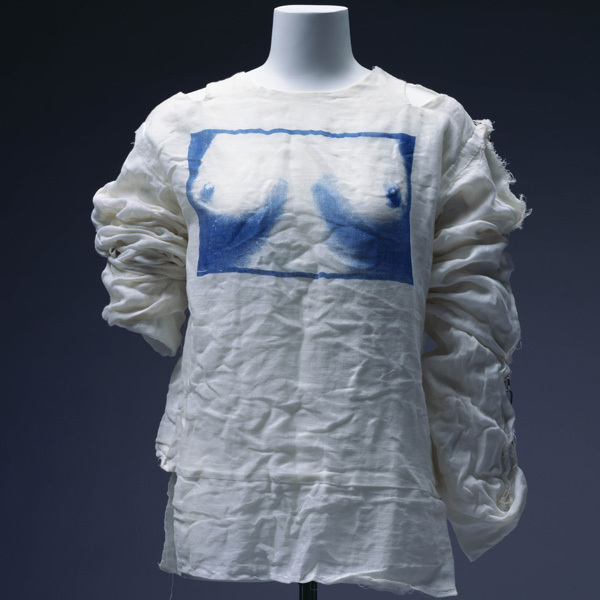 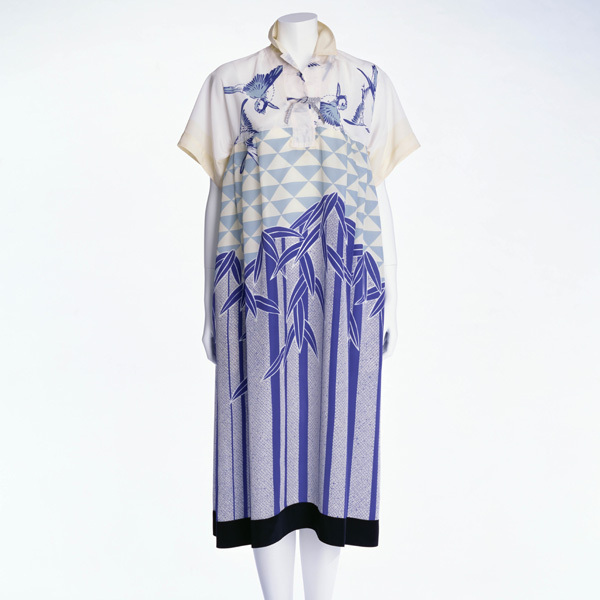 A dress by Takada made with simple ordinary kimono fabric was chosen as the cover of "Elle" magazine, and he became an overnight sensation in the fashion world. 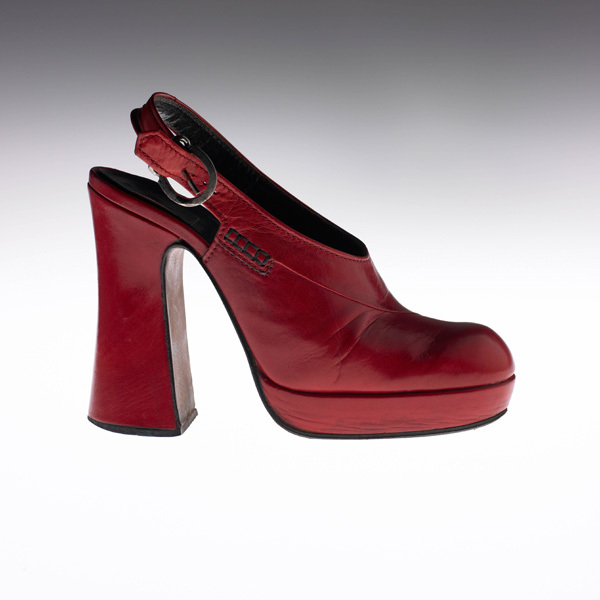 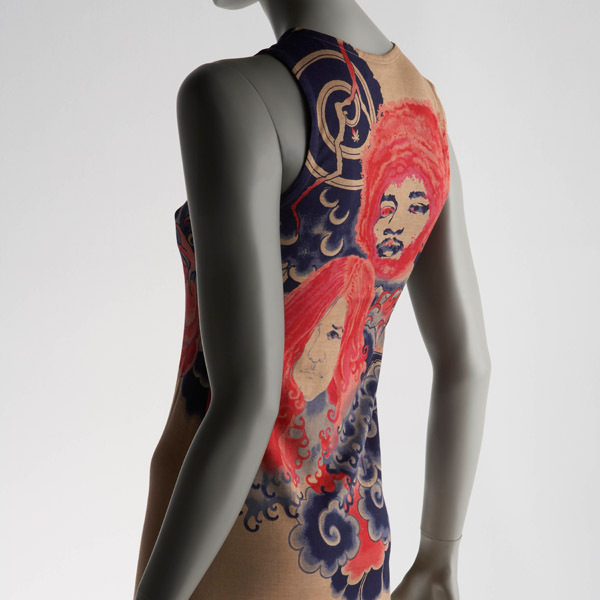 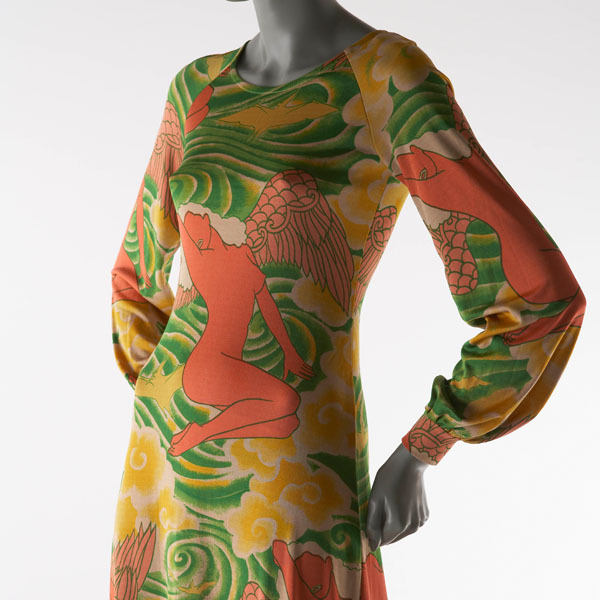 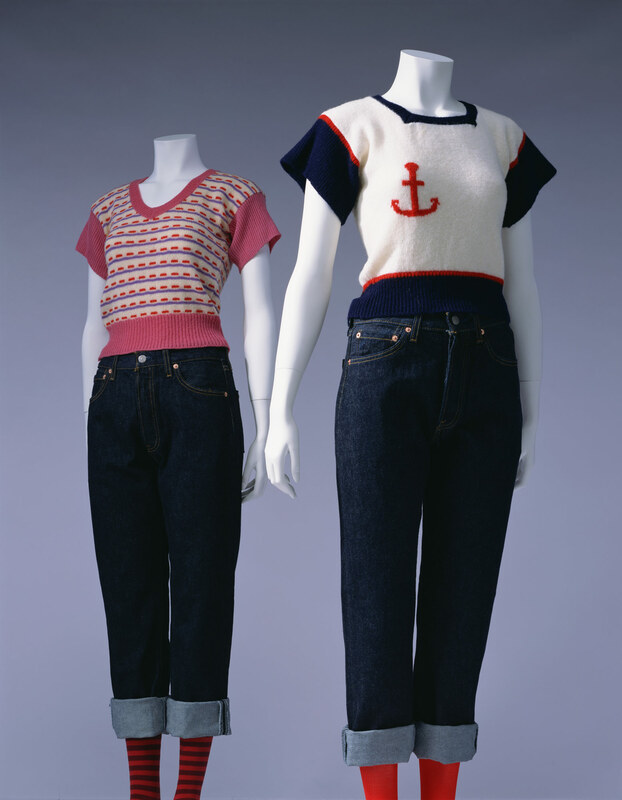 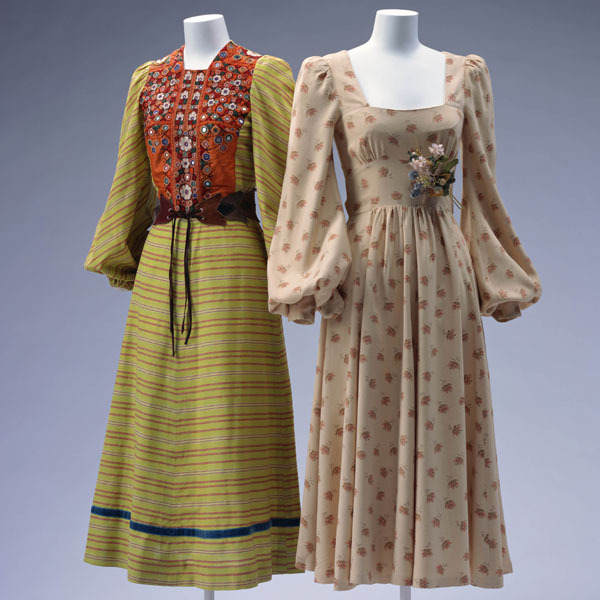 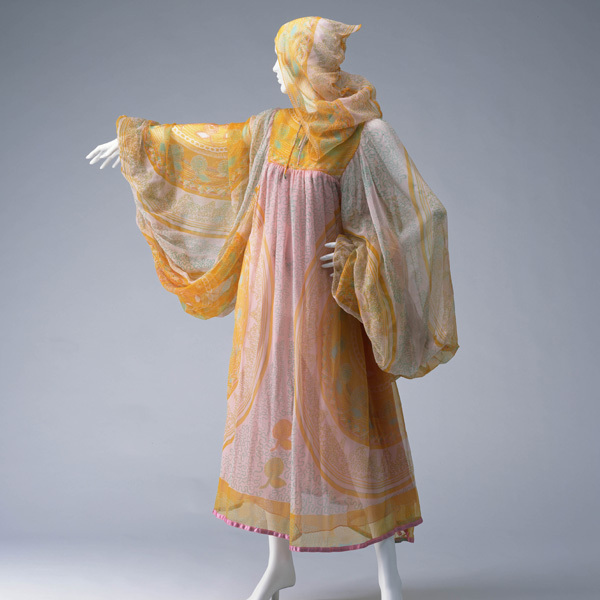 Takada's designs had a simple and relaxed style, combined with the esoteric image of Japan, which matched the spirit of the times that followed May 1968.